Inaugurated in 2013 in recognition of the support given by Mr Nikita Lobanov-Rostovsky (BA Geology, Christ Church 1955) to the Department through the endowment of the Lobanov-Rostovsky Associate Professor in Earth Sciences, this annual public lecture examines the fundamental questions of the origin of planets, formation and deformation and geology on a global scale. On Friday 17th May 2019, we invite you to attend the annual Lobanov-Rostovsky Lecture in Planetary Geology. 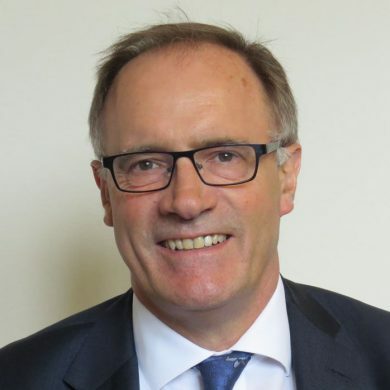 This year’s speaker will be Professor Sir Alex Halliday, recently appointed Director of Columbia University’s Earth Institute. Professor Halliday has been a pioneer in developing mass spectrometry to measure small isotopic variati ons in everything from meteorites to seawater to living organisms, helping to shed light on the birth and early development of our solar system, the interior workings of the Earth, and the processes that affect Earth’s surface environment. He joined Columbia’s Earth Institute in April 2018, after spending more than a decade at the University of Oxford, during which time he was Head of the Mathematical, Physical and Life Sciences Division. 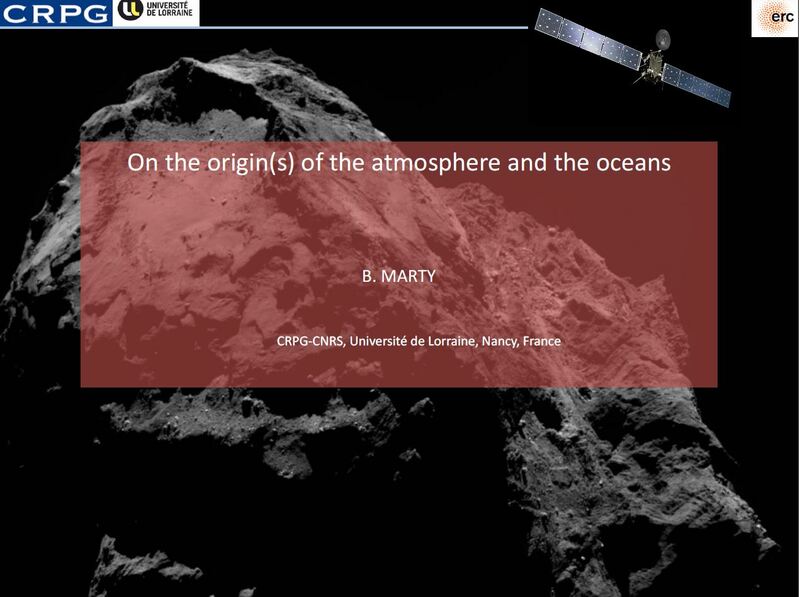 It is a great pleasure to welcome him back to Earth Sciences. The Lecture: The Origin of the Earth and Moon, will take place at 12 noon in the Main Lecture Theatre of the Oxford Natural History Museum, Parks Road, Oxford, OX1 3PW. We hope you will be able to join us. The event is free to attend but please register below. Professor John Grotzinger gave this year's lecture on Friday 21st April 2017. John is the Fletcher Jones Professor of Geology and the Ted and Ginger Jenkins Leadership Chair in the Division of Geological and Planetary Sciences at Caltech, and joins us in Oxford as Visiting Astor Lecturer. He was Project Scientist of the Mars Science Laboratory mission from 2006 until the end of 2014, and continues to support MSL on multiple instrument teams and as a strategic route planner. Find out more about John's research on his website. Professor Bernard Marty, of CRPG-CNRS, Université de Lorraine, delivered the 5th annual Lobanov-Rostovsky Lecture in Planetary Geology on Friday 8th June, in the Martin Wood Lecture Theatre, Department of Physics, Parks Road, Oxford. Abstract: Understanding the origin and evolution of life-supporting volatile elements (water, carbon, nitrogen) on Earth is an evolving and debated area of research. Stable isotope ratios suggest that volatiles were primarily sourced by planetary bodies from the inner solar system. However, recent measurements by the European Space Agency Rosetta probe on the coma of Comet 67P/Churyumov-Gerasimenko indicate that comets also contributed volatiles to the surface of our planet. 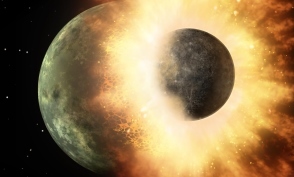 Using this data together with recent high-precision analyses of noble gases from the deep mantle, we shall discuss the sources of volatile elements and the timing of their delivery to the proto-Earth. 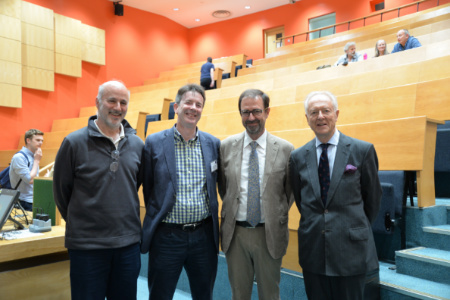 L-R: Professors Don Porcelli, Chris Ballentine and Bernard Marty with Mr Nikita Lobanov-Rostovsky. The 3rd Lobanov-Rostovsky Lecturer was given by Professor Raymond Pierrehumbert, the recently appointed Haley Professor of Physics at Oxford, on Friday 27th May 2016. Professor Pierrehumbert recently moved from the University of Chicago where he was Louis Block Professor in Geophysical Sciences, and served as an author on the third Intergovernmental Panel on Climate Change (IPCC) report. As in previous years, the event was held jointly with the Department of Physics in the Martin Wood Lecture Theatre, with a drinks reception afterwards. The lecture was recorded, and can be viewed online below, or downloaded as part of the iTunesU Podcast Series. The second of our annual public lecture series in Planetary Geology was given by Alessandro Morbidelli of the Observatoire de la Cote d'Azur in Nice. The lecture, entitled "The formation of terrestrial planets" was held on Friday 28th November 2014. Hosted in collaboration with the Physics Department, the lecture took place in the Martin Wood Lecture Theatre, Department of Physics, Parks Road, with a drinks reception afterwards for all attendees. The lecture was recorded, and can be viewed online below, or downloaded as a podcast here. For the inaugural lecture in this exciting new annual series, we were delighted to welcome Lindy Elkins-Tanton from the Carnegie Institute Washington. Elkins-Tanton was in Oxford for a week as the visiting Astor Lecturer in Physics and Earth Sciences. 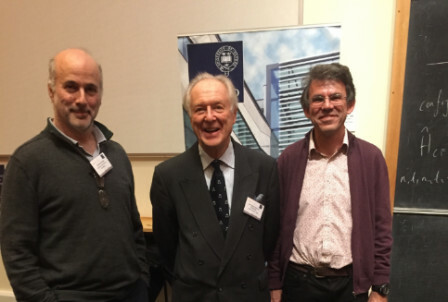 Entitled "Building Earth-like Planets: from gas and dust to ocean worlds," the lecture was hosted in the Martin Wood lecture theatre in the Clarendon Laboratory on Friday 25th October. The lecture was recorded, and can be viewed online below, or downloaded as part of the iTunesU podcast series. 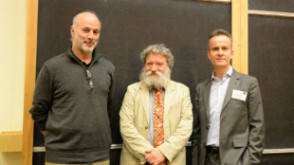 Don Porcelli, Lindy Elkins-Tanton and Nikita Lobanov-Rostovksy at the inaugural lecture in 2013. Don Porcelli is the Lobanov-Rostovsky Associate Professor in Earth Sciences and is the organiser of this series of lectures. If you are interested in finding out more about the lectures, please contact Don directly on donp@earth.ox.ac.uk. To sign up for the next lecture, email Claire Grainger, Alumni Relations Officer, on alumni@earth.ox.ac.uk.